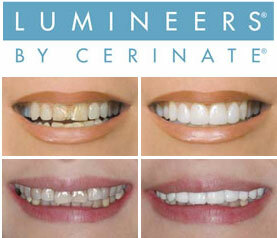 LUMINEERS® are unique because they are ultra-thin, highly translucent, and little to no tooth reduction is necessary. 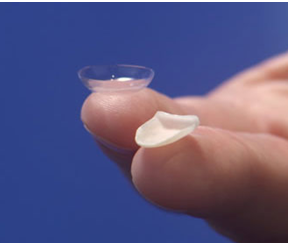 They are very durable designed to give you a healthy and natural-looking smile that will last for years to come. The procedure is relatively simple. During your first visit, Dr. Meinbach will create a mold of your mouth and determine with you, the right shade for your new smile. On your second visit, your new, custom-made LUMINEERS will be painlessly secured to your teeth. Unlike traditional veneers, which require your teeth to be re-shaped to fit the crown or cap, LUMINEERS do not require any modification of your teeth. It is a completely comfortable procedure! Although LUMINEERS are ultra thin, they are extremely strong and resist micro-leakage and micro-cracking. LUMINEERS not only look natural, but they feel natural as well. If you ever want to have your LUMINEERS removed, you don’t need to worry about the result; your natural teeth will remain healthy and strong since no structural change is required to attach LUMINEERS. There are no restrictions as far as food or drinks. Chewing gum is also okay. However, you should continue to visit Dr. Meinbach for regular cleanings and checkups in order to keep your teeth healthy and your Lumineers® looking their very best.